Submitted by Michael Thompson, P.E. 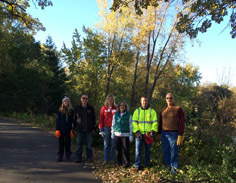 The Buckthorn Event at Maplewood City Hall Campus on Saturday, October 11, from 9 am to noon was a success! It was a perfect morning and a great chance to build relationships while getting some work done. Our service project focused on hauling and piling invasive buckthorn -- a crucial step in woodland restoration. 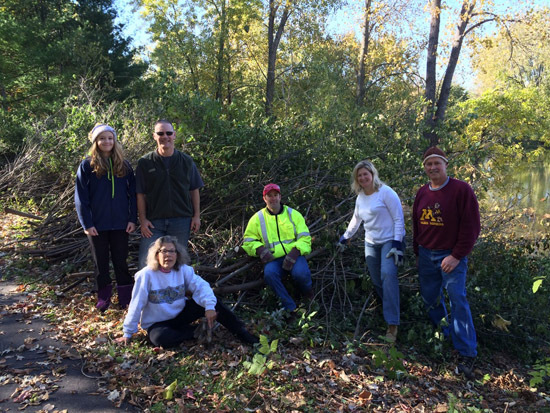 A few mountains of buckthorn were generated by the hard work of our members working along the shores of Wicklander’s Pond. Thank you to all who attended. Please start thinking of ideas for next years’ service event and send them to your Environment and Sustainability Committee members. We are looking for ideas to create more excitement and increase turnout.